Gun auctions, like the items they offer, come in all shapes and sizes. And an upcoming one in Winter Haven, Fla., at Oglesby and Company Auctioneers, will present a slew of long guns, handguns and even some collectible knives that are sure to catch the eye of firearms aficionados everywhere. This remarkable selection of fine weaponry will hit the block on Dec. 7, and for those who can't make it to the Sunshine State, iCollector.com will be hosting an accompanying online auction where bidding on all of the nearly 200 lots will also be available. Stopping power is the name of the game when it comes to large handguns, and nowhere will that be more apparent than at the Dec. 7 firearms auction. 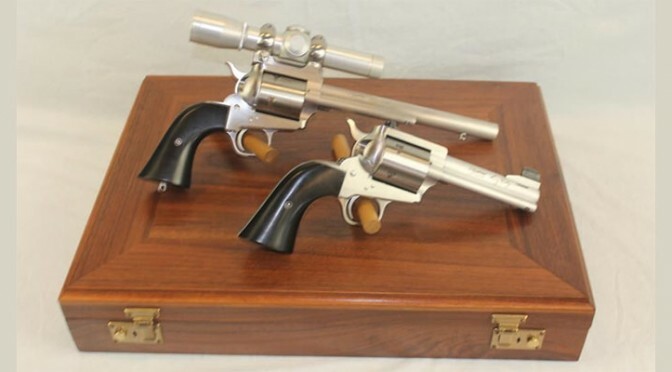 From classic Smith & Wesson revolvers, like the .44 Magnum that was the same model used by Dirty Harry in the film series (lot #905), to a 1902 Colt "Military Model .38" (lot #907), there will be plenty of heavy-duty firepower under the gavel. The 1902 Colt is far from the only classic piece of weaponry in the inventory. A 1911 Colt/Remington Rand .45 marked "UNITED STATES PROPERTY M1911 A1 U.S. ARMY" (lot #917) is a beautiful and skillfully-crafted piece of machinery. There's also a Colt Police Positive from the early part of the 20th century that would make an excellent addition to most any collection (lot #916). There are plenty of rare and designer rifles that will be up for bid at Oglesby as well. Going all the way back to the 19th century, there are a number of older Winchester models, including a .38 WCF from 1873 (lot #951) and a .32 WCF from 1892 (lot #953). On the more modern front, there are some models from Enfield, like the No. 4, Mk 2 .303 Brit (lot #988) that are both beautiful and rare. And the same can be said for a synthetic stock Remington 770 that comes with a scope (lot #1033). There are few weapons of any kind that are more iconic than the classic buck knife, and there will be a Model 105 with a 5-inch blade (lot #1053) up for grabs come Dec. 7. But that is just one of a wide variety of knives that will be available. 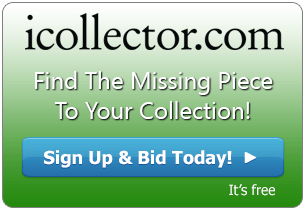 In order to get an early look at some of these exquisite weapons, be sure to log into iCollector.com.